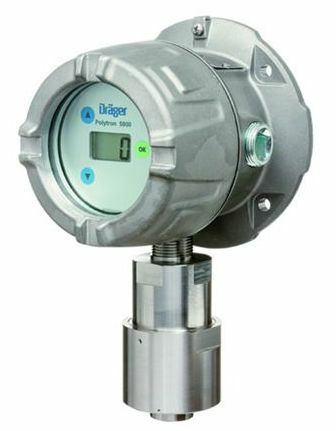 The microprocessor-based transmitter can be equipped with various electrochemical DragerSensors. This way, you can detect oxygen and various toxic gases in ambient air - reliably, quickly and cost-effectively, as the Polytron 5000 is the result of more than 40 years of experience in measurement technology. The housing has four mounting holes. Two different mounting sets are available for installing the Polytron 5000: a duct-mount and a pipe mount set. This means that the transmitter can be easily installed anywhere - e.g., on a smooth wall, a pipe or an exhaust duct. The electronics and the bezel form a single unit. Simply pull them out of the housing. Then insert the two-wire cable into the terminals. Finally plug the terminal block into the PCB.